Letter from Martha Berry to Dr. Thos. 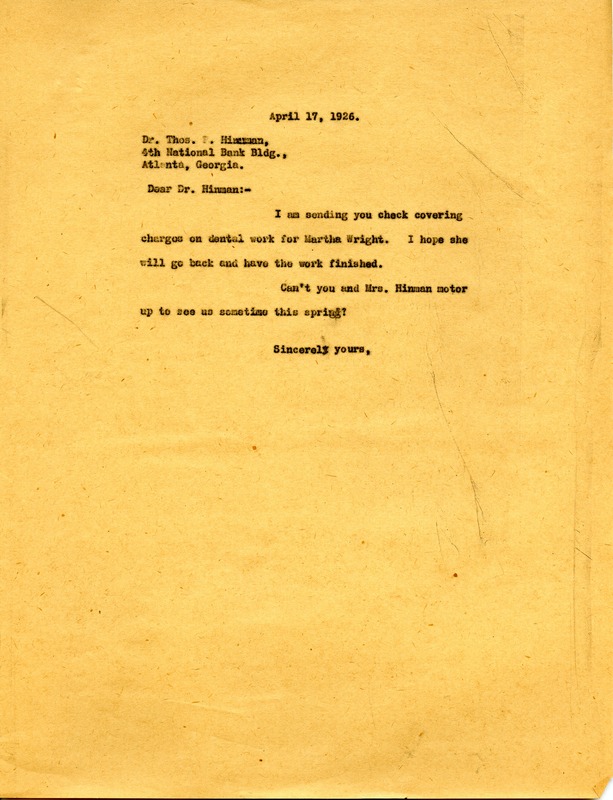 F. Hinman sending payment for dental work for Martha Wright. Martha Berry, “Letter to Thos. P. Hinman from Martha Berry.” Martha Berry Digital Archive. Eds. Schlitz, Stephanie A., Meg Ratliff, Matthew LaFlash, et al. Mount Berry: Berry College, 2011. accessed April 26, 2019, https://mbda.berry.edu/items/show/361.